As we are beginning to receive imagery of the forthcoming Hyperdunk option from Nike Basketball, the Hyperdunk 2013, here we showcase two new colorways of the anticipated silhouette. Featuring a reworked midsole and heavy dosage of Flywire, presented are a tonal green take as well as a red and black rendition. 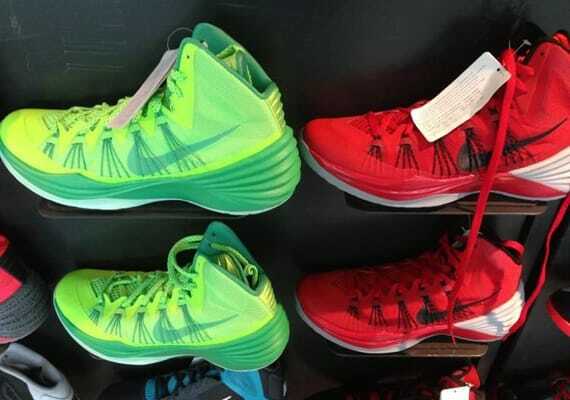 Make sure you let us know your thoughts on the Hyperdunk 2013 so far, and of course, check back with us for more from the upcoming model.